Thank you all for the warm welcoming of our still “under construction” Project Dodge charger RTR. It means the world to us and shows we are on track to what we want to accomplish. 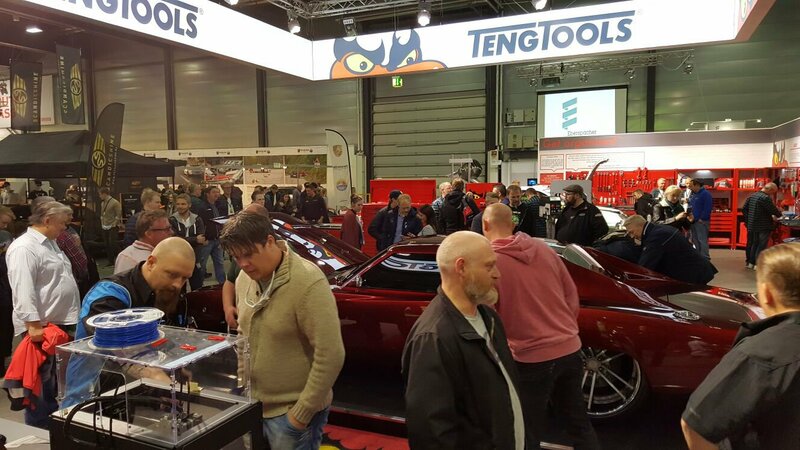 As a part of mine and Turtle Wax collaboration with Teng Tools in this project, we attended the Oslo Motorshow 2016 last weekend. The response from the crowd was almost unreal by our point of view. The hype around the project was hysterical in a fantastic way from the average public to magazines and TV-show people. Our focus was not to display the car itself due it´s still a long way frome done, but instead we wanted to focus on the skilled craftsmanship in all details. The build crew of mine that also is a few of my best friends is Otto Tillander at NOCT Design & Engineering and Jörgen Persson at Svegs Bil & Plåt attended the show with me to display how we manufactured the parts and details from design to ready piece. The stand itself was a great cooperation between Turtle Wax and Luna/ Teng Tools that really gave us possibility to describe the amount of work to get the project to where it is today. I have got a ton of questions of how it went in the shows competitions the last 24 hours. The thing is that we made clear before attending that we are not participating in the competitions no more before the car is fully ready. The plan is to have it ready to the Bilsport Performance show in spring 2017. I would like to take the opportunity to give all the exhibitors and price winners my warm congratulations! I have seen so many beautiful cars this weekend in various style and performance. A special congratulations I want to give to Ulf Kusendal to the well deserved price “Scandinavia´s best car 2016”. Also David Gunnars, almost a neighbor of mine and friend that went home with the price for “Best american car engine”. Thank you all, no one mentioned, no one forgotten for a weekend to remember and see you soon again!